Today more than ever, CEOs, C-level executives, general managers, and business unit heads are faced with a need to significantly alter the very fabric of their enterprise. While at times necessary, the process of transforming an enterprise is very risky. Business lore is full of stories of such campaigns that have failed, or worse, caused a setback in the forward movement of the company. Enterprise-Wide Transformations almost always require many large, critical initiatives to be executed simultaneously without losing altitude in current performance. Maintaining even usual performance levels may already be taxing on the executives and broader workforce; the additional demands of reviewing and reinventing key processes, technology, and workforce competencies risk exhausting the enterprise’s resources. And yet, as an executive, you often have no choice—even though the probability of success is too low for your standards, the choice is reinvent or face the dwindling existence of your company. your Enterprise-Wide Transformation will energize and inspire your entire workforce, from the boardroom to the front line, and result in an elevated level of performance in critical metrics. Oftentimes a new direction for an organization requires a cacophony of initiatives that will ultimately alter the very fabric of the enterprise. Insigniam’s Enterprise-Wide Transformation dramatically elevates performance at all levels of the organization by establishing an organizing context and framework where today’s results, key projects for the future, teams from disparate corners of the enterprise, decision rights, and organization culture begin to move in a harmonious fashion, and enhance, rather than compete with, each other. A CAPEX project that must go off without a hitch. A new IT system being implemented across the enterprise that will change all aspects of everyday work. In any executive’s accountabilities, there are some initiatives that simply must be executed today, although the results won’t be seen immediately. Insigniam will approach these enterprise critical initiatives with the same rigor and intentionality you bring, and ensure they are executed from formulation to delivery. Whether working in a specific department, geography, business unit, or functional area, Insigniam’s Enterprise Performance Assessment will strike at the heart of how employees think and act on the job. It will reveal the network of conversations that dictate how work is done and uncover the hidden rules for success that temper the actions your employees take to produce results. Hager Group has grown steadily since its inception, growing organically as well as acquiring other manufacturers of electrical and related systems used in residential, commercial, and industrial buildings. The former chief strategy officer at Campbell Soup Company and current president of Pepperidge Farm has spent 28 years leading transformations and turnarounds. Putting consumers first — even inviting them into the R&D process — has helped the French food products multinational grow beyond $26 billion in revenues. 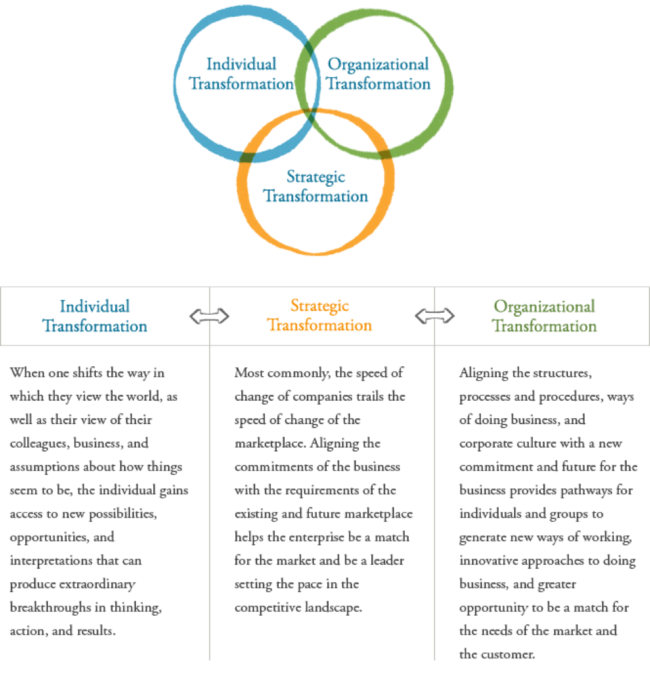 You have a transformation strategy, but is your organization part of it? Is your corporate culture keeping you from a breakthrough? Leading change in communication: Are you being heard? Language barriers? Check. Cultural peculiarities? You bet. Time zone differences? Major. Impending disruptors will put the oil industry on a downward trajectory unless executives are prepared to make a major transformation. Cone Health is an integrated not-for-profit network of health care providers which is shared by our more than 11,000 employees, 1,300 physicians and 1,200 volunteers. See what an enterprise transformation looks like inside of a 12,000 person healthcare system. 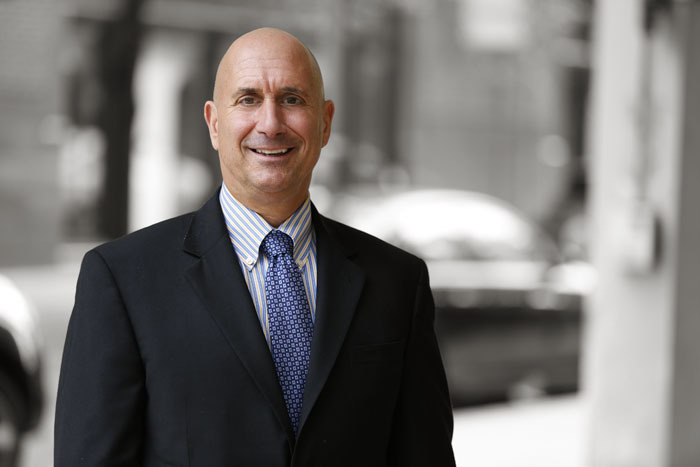 An executive’s executive with an entrepreneurial mindset, Nathan Owen Rosenberg not only co-founded Insigniam, but also founded two other successful enterprises and has served as chief executive of four corporations. His expertise and experience gained from working with more than 70,000 people during his 28 years in consulting has resulted in measurable Breakthrough Results, enterprise innovation, and leadership transformation. Driven by a passion to help clients achieve dramatically improved results, Bruce Zimmer, an Insigniam consultant, has helped companies accomplish what might normally seem as impossible. His background includes managing an international education company, giving him a comfort level in working with a variety of clients across many different industries and geographic locations.